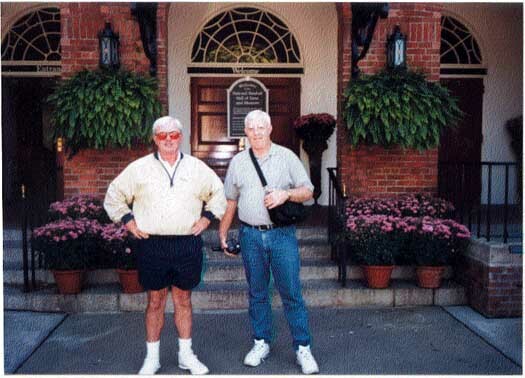 being picked up in Milwaukee by the Jay Buckley Baseball Tour Bus my brother Roger and I began an eight day trip to eight cities with seven baseball games on tap. Chicago and Wrigley Field was the first stop. Getting off the bus on Sheffield Avenue, on the left field side of the playing field, the two of us headed to Bernie’s Bar for a beer and sandwich and a taste of Chicago. The game did not disappoint with Sammy Sosa hitting his 61st, 485 feet away, eight innings before the Cubs came from behind to beat our Milwaukee Brewers 8-7. Pittsburgh was to be our next destination after dinner at Harry Carey’s Restaurant in downtown Chicago and a night stay in La Fayette, Indiana. We traveled in rain and drizzle most of the way to this beautiful city located on the confluence of the Monongahela and Allegheny Rivers. We had a few hours to “bum around” when we got there, so Rog and I took the Monongahela Lift up to the top to gain a better view of the city. Much of the city is built in a river valley with some residential and commercial areas on the surrounding hills, so these lifts are an integral and necessary feature here. 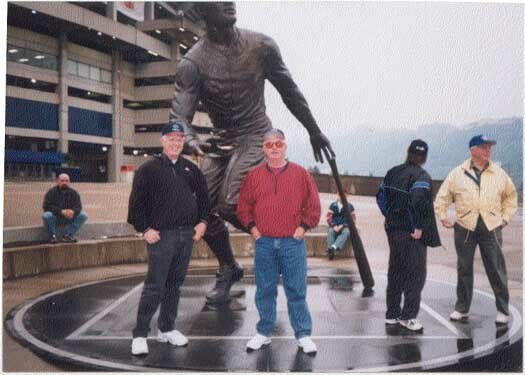 After arriving at the ballpark, many of the 40-some on the bus snapped pictures of the memorial statute of Roberto Clemente with the Three River’s Stadium in the background. We subsequently watched most of the rain-delayed game before departing the park at eleven. Seven came early the next morning when we boarded the bus for New York City. The Yankees were playing the White Sox later that evening, but, because the traffic entering the city from the Jersey side was New York thin, we had time to spare. Dave, our driver, gave us an abbreviated tour of Manhatten on the western edge of Central Park and then proceeded through the heart of Harlem. Harlem was larger and much more depressing then I led myself to believe. 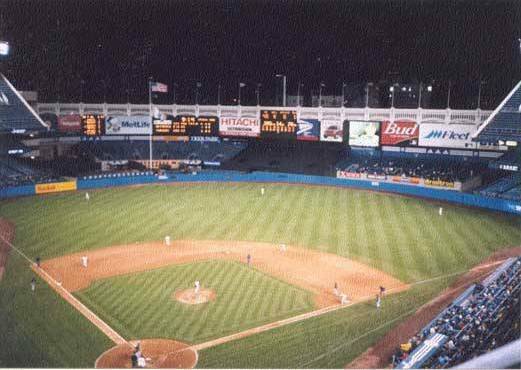 The area of the Bronx around Yankee Stadium seemed, in contrast, a vertible paradise. Boston, and Fenway Park, was our destination the fourth day as the gloomy weather continued since leaving Indiana. 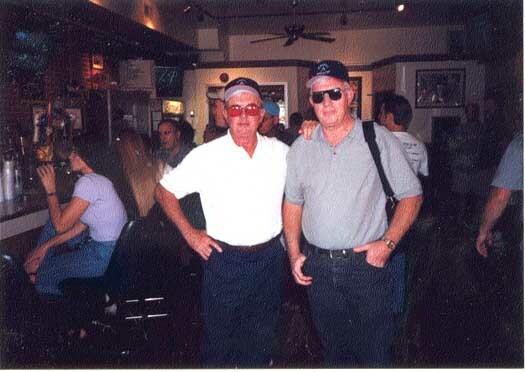 But that didn’t stop Rog and me from taking a bus and walking tour through the heart of the city with stops at the Cheer’s Bar and Kitty O’Shea’s for a couple of taps. And what good would Boston be without some fresh seafood, compliments of Legal Seafood, on the Wharf? 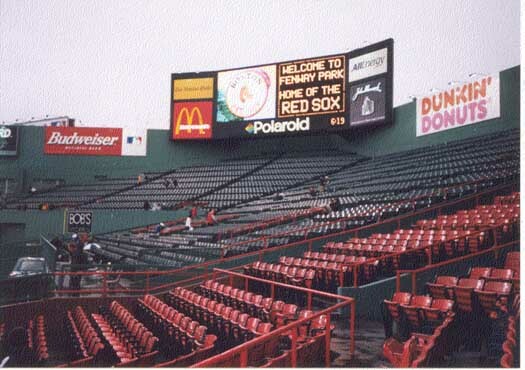 Fenway Park was all “they” said it was. 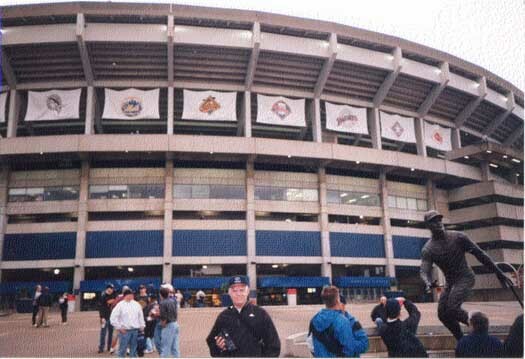 It was our favorite ballpark and one of the two oldest still in existence. 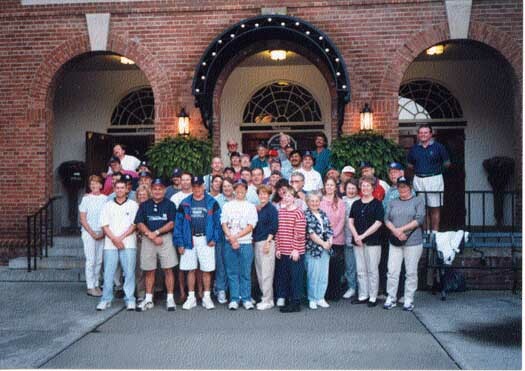 On Thursday we ventured to Cooperstown to visit professional baseball’s shrine: The Baseball Hall of Fame. It’s a must-see for every baseball fan. Then too, it was a perfect Fall day in this upstate New York village with a turn-of-the-century look to it. It was my favorite stopping-off place of the entire trip. 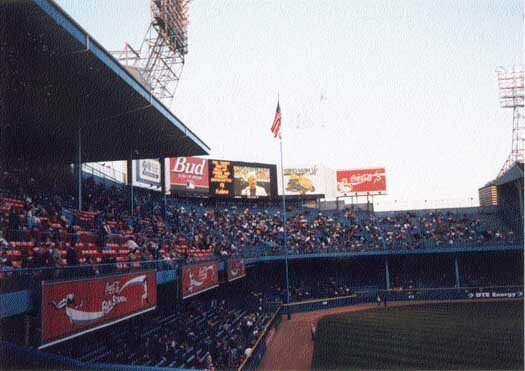 It was a long ride to Detroit the next day, but the sense of being there for the last few games ever to be played at Tiger Stadium was worth it. It was a beautiful place to enjoy watching baseball being played. But, it was disheartening realizing that 87 years of playing baseball on the site would be over in a few days. Along with Wrigley Field and Fenway Park, Tiger Stadium, to borrow from a couple of well-known movie critics, got two thumbs up. It was hot when we arrived in Cincinnati on Saturday for an afternoon game between St. Louis and the Redlegs. Despite the presence of a wild card race and a look-see at Mark McGuire, the experience was not a good one. The artifical turf, the 90 degree heat, and with a lack of charm and history, Cynergy Field hardly measured up. 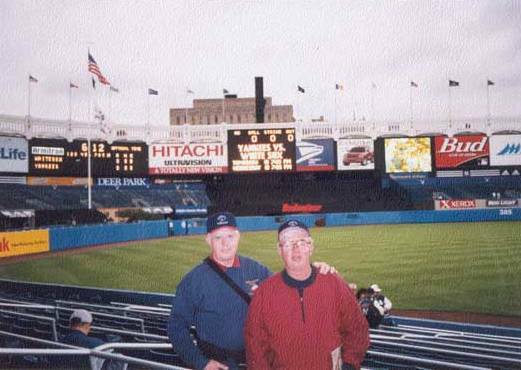 It was expected when the two of us registered for this trip that Sunday’s stop at County Stadium in Milwaukee would be the last series of games ever to be played at this place that opened in April of 1953. But because of the accident that killed three workers at the new Miller Park a few months earlier, a decision was made to play one more year where so many memories were made. Milwaukee won, going away, that day. A good way to end a very nice trip. In parting I would say that the trip was maybe a day too long (Cincinnati could have been dropped from the schedule), but on the whole the trip was a good one. I would not have done this on my own and the long bus rides I didn’t seem to mind. It was a good way to see parts of the country, and I also found satisfaction in finishing two of Stuart Wood’s novels without the interruptions one usually finds sitting at home. The one thing that was annoying, and left me with a profound emptiness, were the thoughts that the older parks are becoming obsolete in this new age of spiraling contracts and run-away costs. The feeling, the flavor of these old places, will forever be lost to baseball fans of today and those yet unborn. That, to me, is the tragedy.